generic viagra Getting it into Photoshop was no mean trick. Usually it’s easy to remove backgrounds, but I tend to work loosely and in this case there were a lot of gradual transitions between object and ground. So I had to create an extra layer on top and carefully outline the dragon, then select the negative spaces and delete them from the art layer beneath. It would certainly make more sense to be more precise from the beginning, but then again that might force me to work tighter and lose the energy of the piece. In the end, all’s well that ends well. 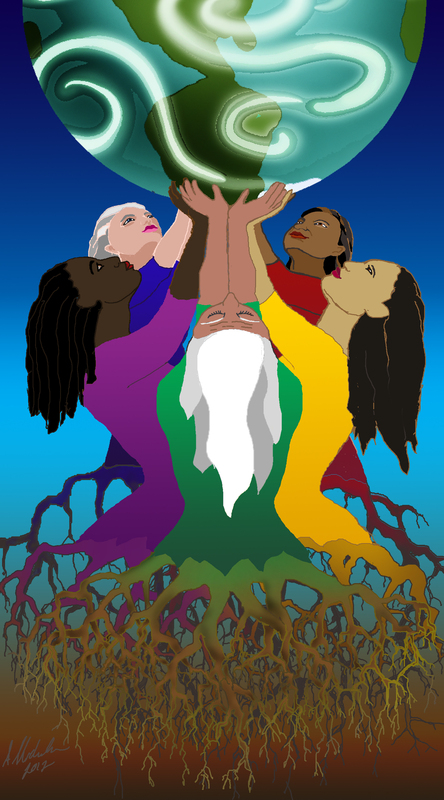 More illustrations for the Partnership With Earth project. One of our goals is to illustrate examples of activities which are not only eco-friendly, but which promote bonding with others and/or with Nature. This one was fun to do. I used two different reference photos so the figure is really a composite of two models. The pile of gold is a separate layer – I just kind of winged it but I like the way it turned out. The gold actually puts me in mind of dragons. Maybe I’ll do one of those soon! Do you think dragons are best with wings? Another one for the website project.